UnGagged has decided to return to where it all began… introducing Caesars Palace as the 2018 host for UnGagged Las Vegas! This exquisite, 5-star hotel offers the perfect location for UnGagged attendees to experience an event beyond all the rest, in an immersive, all-inclusive conference venue. 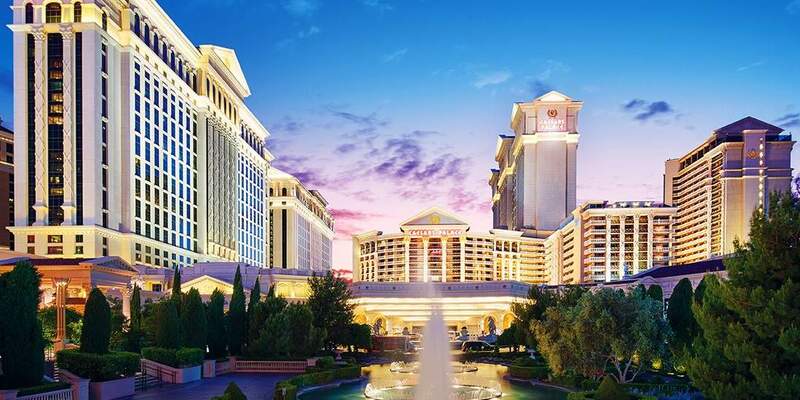 While UnGagged will be hosted in the conference section of Caesars Palace, all attendees are encouraged to stay at the hotel and keep the party going! Avoid the hassle of sourcing alternate accommodation, as well as the additional cost of getting to and from the conference on those early mornings (and late nights!). Stay right where the action is and you’ll never miss a beat! Take some time out and book a trip to one of the top-rated golf courses; Rio Secco and Cascata Golf, both located just minutes away from the Las Vegas Strip. Have a few hours to spend? Entertain a shopping day at The Forum Shops located inside Caesars Palace Hotel & Casino. Enjoy a delicious meal at one of the many celebrity-owned restaurants and world-class buffets situated throughout the hotel. Indulge in Bacchanal Buffet which features hundreds of items prepared by a team of master chefs in nine globally-inspired open kitchens, or keep it traditional by visiting the Old Homestead Steakhouse; whatever your choice, you are guaranteed an enjoyable meal. Grab a drink and experience the iconic, luxury bars offered at Caesars, including Cleopatra’s Barge, The Cocktail Lounge,Vista Cocktail Lounge, and many more! Want to take it up a notch? Head to the sensational multi-level Omnia Nightclub which encompasses a seductive ultra-lounge, a high-energy main room and mezzanine, as well as a breathtaking rooftop garden, showcasing panoramic views of the Las Vegas Strip. Make the most of Las Vegas’ entertainment and book a show! From comedy to headliners; you can design your night of adventure. Caesars Palace is a short car ride from McCarran International Airport, where there are regular internal United States flights and external flights from around the world. The Las Vegas Monorail is a great way to beat the traffic and get from one end of The Strip to the other in just 10 minutes. You won’t struggle to find a taxi in Las Vegas. Each company has their own colours, if you wanted to book in advance we have outlined a select few below.